I have been having a play with the new Gingham Garden Designer Washi Tape and made this Thank You card for a special customer. As usual my eye sight is off and the washi tape is a little on the crooked side but you have to look hard to notice. The card colours are Whisper White, Daffodil Delight and Melon Mambo. The Melon Mambo spotted ribbon is now retired and I wish I had bought more of it but I didn't. The Thank You saying is from Itty Bitty Banners and I have used the matching Bitty Banners Framelit to die-cut it. The little rose is made from Simply Pressed Clay, the Buttons & Blossoms Simply Pressed Clay Molds and it was then coloured with Crystal Effects with a little of the Melon Mambo Re-inker. 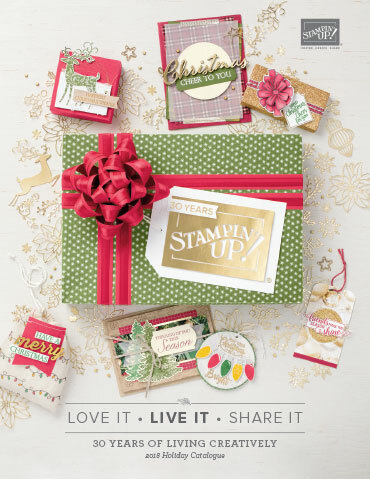 If you would like to order any of the above product just contact me or click on the online button at the bottom of this post or over to the right of my blog. 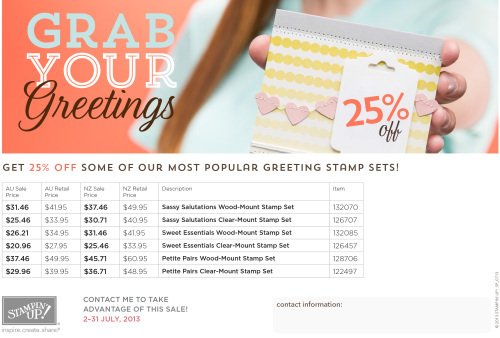 Good Morning and welcome to a brand new year of Stampin' Up! goodies! 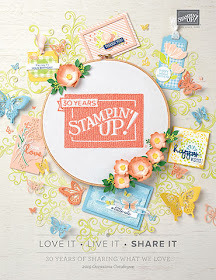 The new annual Catalogue is now live and ready for you to flip through online, Just click on the link over to the right of this blog. There is also a very special offer to kick start the new year. If you would like to take advantage of this special you can do so by ordering online or by contacting me. To order online, just click on the button below in my signature or over to the right of my blog.